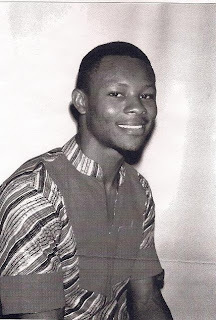 I am the Chairman/ CEO of EUC Homes Ltd, I studied BA in Finance Imo State University, BA in Economics University of District of Colombia Washington DC, MBA University of Maryland University College, College Park Maryland. 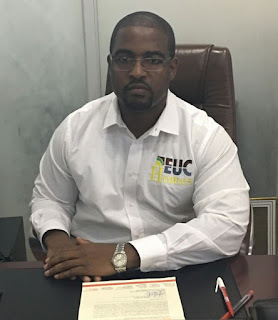 I also serve as the MD EUC services Ltd and Baybridge Energy Company. What motivated you into real estate? I have been investing in real estate since was 19 years old. What do you do aside real estate? We are into construction which is a part of real estate, energy and marine services. Compare Nigeria real estate with that of America and what's the way forward? America is a developed country well planned and layed out with precision. America also has lots of credit facilities, these are a few major factors that we as Nigerians as a whole have to look into to promote faster real estate development. If you where given an opportunity to change something about real estate in Nigeria, what could it be? I’ll make property documentation process much faster Nation wide it really delays lots of ambitious projects. What is your favourite memory as a businessman? As a real estate mogul, what are some of the ideas you have implemented? I have implemented cutting edge solutions like IMMEDIATE PHYSICAL ALLOCATION to all customers after purchase, 15% direct commission to all our 10,000 plus marketers, continuous development on all our estates and many more. We try to satisfy both our clients and marketers. Can you tell us about your love life? What real estate plan do you have for Africa especially Nigeria? My dream and aim is to provide through my company affordable, adequate and conducive living environment for Nigerians and Africans. What incentives do you have for your consultants? EUC Homes Ltd is the first real estate company to pay 15% direct commission to its registered marketers. We have the largest marketing network in West Africa with over 10,000 registered marketers. We also pay 5% 1st generation indirect commission, 3% 2nd generation indirect commission, 2% 3rd generation indirect commission and we also offer numerous promos all year round. What is your advice to the aspiring real estate mogul like you? My advice is to stay committed, smart and honest. Finally always critically speculate where developers are coming so investors can thrive.